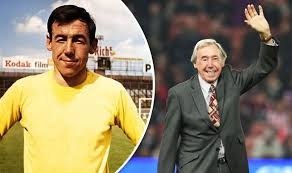 England World Cup winning goalkeeper Gordon Banks OBE has died aged 81, his family have announced. His only spell in management was in charge of Telford United between 1979 and 1980. The Yorkshire-born goalkeeper, who had long spells at Leicester City and Stoke City as a player, won 73 caps for England. 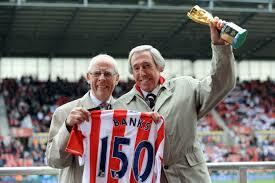 Stoke shared a statement from Banks' family, announcing he had passed away 'peacefully' overnight. In an interview with the Express & Star in 2014, Banks revealed how 'fate' played its hand in Banks enjoying the domestic and international career he had. But for his poor time-keeping, it might never have happened. Back in the early 50s in his native Sheffield, the teenage Banks had no greater designs on life than a career in bricklaying having already begun his training as an apprentice. Despite having left school only a year previously, it was already his second profession, an upgrade on working the local coal round, taking rocks of the station wagons and dropping them into people’s cellars. “To get overtime I would work early morning Saturday until lunchtime,” he explains. “I would dash home, get washed and changed and then rush into Sheffield on the bus to watch either Wednesday or United, whichever was playing at home – it didn’t really matter to me. “’Well, do you fancy a game?’ he said, ‘our goalie has not turned up. Yet if his playing career was sensational – his managerial career was quite the opposite, beginning and ending as it did in 1980 at Telford. After hanging up his boots following a spell in the NASL with the Fort Lauderdale Stars, Banks had begun coaching at Port Vale in 1977 but was keen on testing the water in management when Telford came calling. When talking about his time with the Bucks, there is a definite bitterness in Banks’ tone. 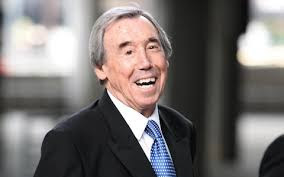 He refutes the oft-heralded tale of selling raffle tickets after being sacked in 1980 but nevertheless, there are clearly certain elements to his dismissal and the way he was treated which still rankle. “I was very disappointed in Telford because they asked me, they got in touch with me and asked if I would come and help them get out of relegation when they were second bottom of the Alliance Premier,” he says. Banks himself brought in Jack Mudie to take charge of team affairs but shortly after his return, following the operation, he was shown the door.